When I meet with a potential Chapter 13 client, I always emphasize that the five year term of a repayment plan can be a very long time and that something unexpected will almost certainly happen. 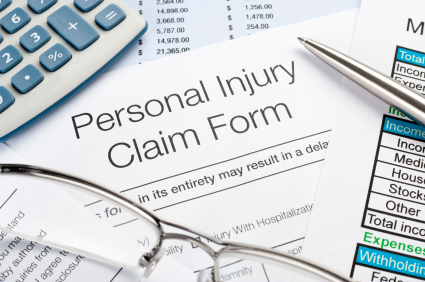 One of the more common unexpected events may very well be injury claims of some type. If you have ever watched daytime television you know that there is no shortage of lawyers ready, willing and able to help you pursue injury claims for money damages if you are injured in a car accident, at work, due to a product defect, or if you need to file a claim for Social Security disability benefits. What happens if you need to pursue one of these accident injury claims after you have started your Chapter 13 repayment plan? First, you should notify your Chapter 13 attorney immediately if you think that you have a case that will pay you money damages or a case that will take you out of work. Your Chapter 13 case will become delinquent and eventually fail if you miss payments to the trustee, but if you advise your attorney immediately prior to a payment interruption, he may be able to negotiate a temporary suspension of trustee payment obligations. In the Northern District of Georgia, where I practice, judges routinely approve two to three month trustee payment suspensions at motions calendars. In my experience, judges are more open to suspending trustee payment obligations coming due over the next two to three months than forgiving missed payments from the last two or three months, so it is better to take a proactive stance when it comes to missed trustee payments. Second, your attorney needs to coordinate efforts with your personal injury lawyer. You might find as well that your bankruptcy attorney or someone in his firm also handles personal injury matters and as a matter of courtesy you should at least talk to the law firm already representing you about your injury case. In any case, your personal injury lawyer will most likely need to be approved as special counsel in your Chapter 13 case by filing a motion and obtaining an order in bankruptcy court. Third, you will need to obtain approval from the bankruptcy judge prior to disbursing any money that arises from your injury claim. Your injury lawyer, with the aid of your bankruptcy lawyer, will need to review the exemption statute in your jurisdiction and file a motion proposing a disbursement of funds. (If your claim involves lump sum Social Security benefits the entire lump sum may be protected although you may need to use some of your lump sum to bring your plan current.) You can be sure that your Chapter 13 trustee will want to participate in this disbursement, although to what degree will be a matter of negotiation. The bottom line regarding injury claims and Chapter 13 is this: your Chapter 13 attorney can help you keep your case active if you incur an interruption of income and he can help you retain more of your lump sum settlement, so make sure to involve him early in the process.